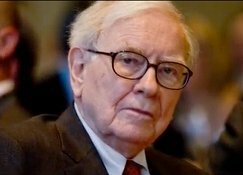 In his first interview since the Fed decided to maintain its QE money printing program this week Warren Buffett said the Fed was making his life difficult as he could no longer find any bargains in the stock market, but he praised Ben Bernanke for his five year policy response that has restored the fortunes of the richest Americans like himself. Indeed, the second richest living American would like to see Mr. Bernanke reappointed as Fed chairman now that Larry Summers has dropped out of the race to be his successor. He said the stock market was around ‘fair value’ at current levels, but then as one of its biggest players he would say that, wouldn’t he? Mr. Buffett can never say sell! More skeptical investors might wonder if the greatest American stock market investor of all time can no longer find shares worth buying for the long term why should they be able to do any better. And yesterday stocks did fall slightly after the brief rally that followed the Fed announcement on QE money printing this week. Have share prices finally overshot? Naturally Warren Buffett is ready for a crash. In fact he has a record pile of cash available and that is a matter of public record (click here). He’s not been rushing to buy big like Microsoft and Verizon recently, in deals typical of a market top by major companies under poor leadership who buy when the smart guys are selling. Think AOL/Time Warner in 2000. You have to admire the old master at it again. Sure his stocks will get whacked in a downturn with the rest of them. But he will be out buying again before the next run up in prices. Remember the multi-billion dollar lifelines to Goldman Sachs and Bank of America five years ago? Of course, he cannot just stand up and say the sky is about to fall in. But if you read between the lines that is what Warren Buffett is saying now and he would like Ben Bernanke to be there again to pick up the pieces. He did a good job for Mr. Buffett last time round and Mrs. Yellen might be less predictable in a crisis. Previous PostBIS warns global economic imbalances now worse than 2008 with emerging markets most vulnerableNext PostBuying high and selling low, why is it so many investors get this the wrong way around?